Petrodia Engineering International Pvt Ltd was formed in 2007 by a group of highly experienced and talented individuals who had formerly worked in companies such as Royal Dutch Shell Plc, Petroleum Development Oman (PDO), Kuwait Oil Company (KOC), Oil and Natural Gas Corporation (ONGC), Bharat Petroleum Corporation Limited (BPCL), Saudi Aramco, Carin India Ltd, Larsen & Toubro (L&T), their moto was to integrate internationally reputed Oil & Gas company`s organisational culture, safety standards, operational efficiency, operation management, and other technical aspects into the Oil & Gas industries in India and abroad.. Many other internationally experienced engineers shared the same ideology of Petrodia's and are actively involved in pursuing Petrodia's goals. In hindsight the firm has an ever-increasing talent pool of highly experienced engineers from diverse Oil & Gas backgrounds. Petrodia always believed in investing in Human Capital Resource, thus passage of knowledge from its founders to new talents by nurturing them, training, and developing them is an essential cog in the organisation's goal. 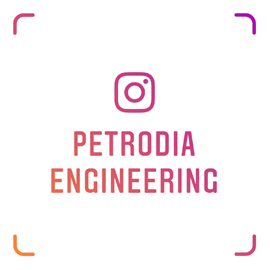 Petrodia Engineering's agenda is to provide highly skilled engineers and leaders to face the ever-growing challenges in its industry. As Petrodia's slogan is 'A Knowledge Based Companys which can be found in all the brandings of the company, as it firmly believes knowledge is virtue for success and it is strongly reflected in its organisational culture. Over the years Petrodia Engineering International Pvt Ltd has grown it credentials and its reputation as a premiere Oil & Gas Consulting firm in India, due to firm's mission, vision, and commitment towards quality of service provided. Petrodia's Success is reflected in its growing clientele list of internationally reputed Oil & Gas firm. Petrodia is the only Oil & Gas consulting firm in India, who can provide's Global Expertise with Local exposure and reach, which is also its Unique Selling Point (USP) and has created a niche market segment for itself. Petrodia's commitment towards quality is reflected by the international and national certificates it has acquired for itself over the years such as ISO 9001: 2015 certification, Quality Council of India- member organisation to name a few. Today Petrodia Engineering International Pvt Ltd provides a wide range of services to various sectors in the Oil & Gas Industries in India and abroad. Petrodia Engineering also has a growing list of clienteles from various other process industries in India, who are mesmerised with the quality of service provided and look to form long term relationship with the firm. .